Immigration is a hot topic these days. A big question is what to do with the young children crossing the borders into the United States. It’s an issue which I am not trying to solve, but I considered this problem a great deal while I was writing my father’s story. When my Russian-born grandparents decided to return to their homeland with their six New Jersey-born children, none of them could refuse to go. Like all children whose parents relocate to a new town or different state, they had to live with their parents’ decision. 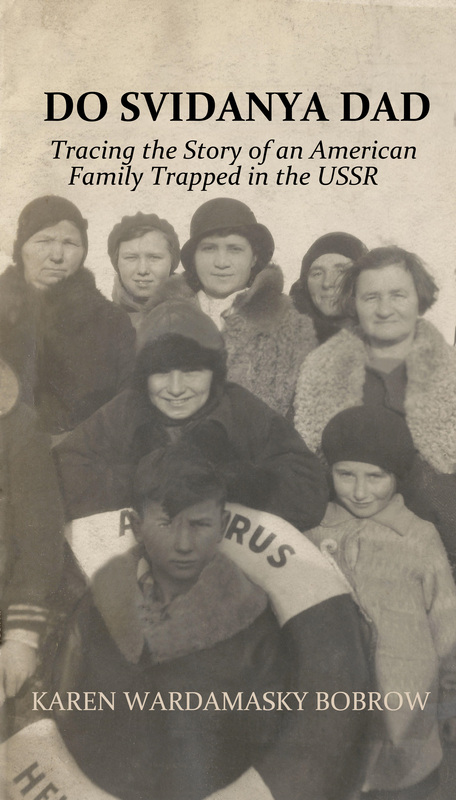 Years later, when the family decided to leave the Soviet Union, much of the world was already involved in the Second World War. My father was the first to leave, and once German forces invaded, the rest of the family was stuck there. My aunts begged the American Embassy for shelter and financial assistance to leave but got little help. The attitude was that they chose to move there, so they were on their own. As I read the correspondences between the State Department and my father’s family, I could not help but think how wrong this was. They were children when they left New Jersey. It was not their decision to make. Seeing and hearing the heart-wrenching video and audio clips of the children who have been separated from their parents at our southernmost boarder is why I am attending another rally. This has been happening far too long. I wrote “Not Their Decision to Make” more than two years ago. More than two years! Early this morning, less than three hours after sunrise, I found myself on my knees in my garden. I had rushed outside before the temperature had risen over eighty degrees, knowing I would be unable to withstand the heat and humidity if I waited too long. After raking away the mulch and sprinkling some Miracle Gro-infused soil in the prepared area, I was suddenly whisked back in time many years and three states ago, when I accidentally grew a pumpkin in our front yard. The surprise pumpkin appeared as a result of an act of laziness by me the previous year. I had waited too long to dispose of our Jack-o-lantern and ended up kicking the rotted carcass of dear old Jack to the side of the front steps. I did nothing to encourage the growth of a pumpkin. I did not fertilize it nor did I water it, so I was quite astounded when I discovered a vine of unknown origin which turned into a pumpkin. 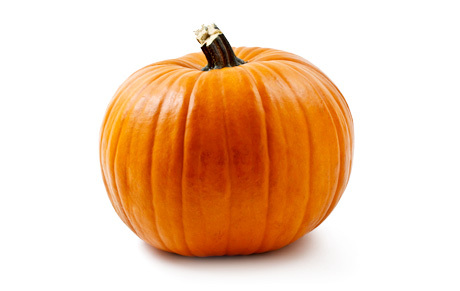 Knowing how easy it had been, last year, after carving our Halloween pumpkin, I intentionally saved the seeds with the hope of purposely growing a few pumpkins. I first spread out the seeds on a cookie sheet to dry, and then stored them in an envelope in the back of the garage refrigerator. Thankfully the seeds had not been thrown out, so a few weeks ago I researched the best time to plant the seeds in our state. The planting time in New Jersey and Maryland has long gone, but here in South Carolina, where the weather is oppressively hot, the time has come. I created a raised bed with lots of room for the growing vines, and then ever-so-carefully placed the seeds in the soil. I then dragged out the hose and watered my seeds, thinking ahead to October when I will have a lovely pumpkin patch. I wonder if it will work. Dad and I are going to Alaska later this year as part of our 40thanniversary celebration. I am excited to see our northernmost state, but I am equally eager to finally visit Canada. In light of the recent events this past weekend and now with this new wacky administration, I am wondering if we should go in disguise. Canadians probably don’t like us now, but Dad and I like them. Perhaps we should consider relocating somewhere up there. I am thinking that Vancouver may be the place to go. The climate has fairly mild winters and there is little or no snow. Unfortunately, they have more rain than any other Canadian city during that season. Okay, so the cost of living is higher, but can it be higher than NJ? Listen to what we found. There is a city just outside of Vancouver which allegedly has the best Asian food in North America. (Dad is already packing his bags and looking for a real estate agent!) This oasis of Asian delectability is a city of 200,000 residents with over 74% of Asian background. 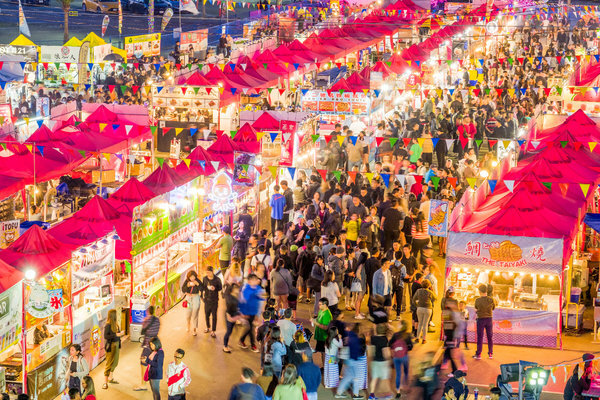 Our potential new home is Richmond, British Columbia, and there are supposedly 400 Asian restaurants—half within a three-block area. You know that this is heaven! And just look at the Canadian Prime Minister. Richmond, here we come! 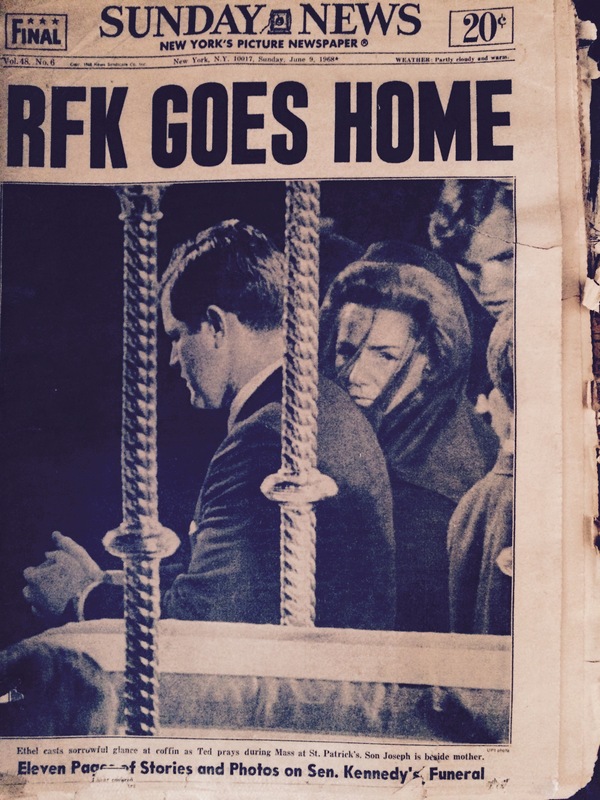 This week marks the fiftieth anniversary of Robert F. Kennedy’s death, so the news has been filled with news accounts of his assassination, the newly-published books about his life, and discussions relaying memories of that day. At thirteen, I remember the Sixties as being a decade overflowing with anger and violence directed toward the Vietnam War, civil rights, and full equality for women. This could be written today. Just substitute the word Indians with Mexicans, African Americans, or Muslims. Nothing changes. These words were all written fifty years ago. Just let that sink in. Now that you are all grown and have flown the coop, it is time that I take advantage of your many unique talents. On the one hand, it can be called payback for all that I did for you, but you could also look at it as an investment in your future. My book has been out for two years now, but sales are completely flat. I still have confidence that what I wrote is a unique story, but I acknowledge that it is not everyone’s cup of tea. Some people do not like nonfiction—particularly history. I know that for years, I read mostly legal mysteries, so I understand. I am proposing to use what you know to help me with my book. I really loved my title: Do Svidanya Dad, but I realize that people just don’t get it, so I put the thought out there to my friends via the Internet. The idea to change the title was Dad’s idea. 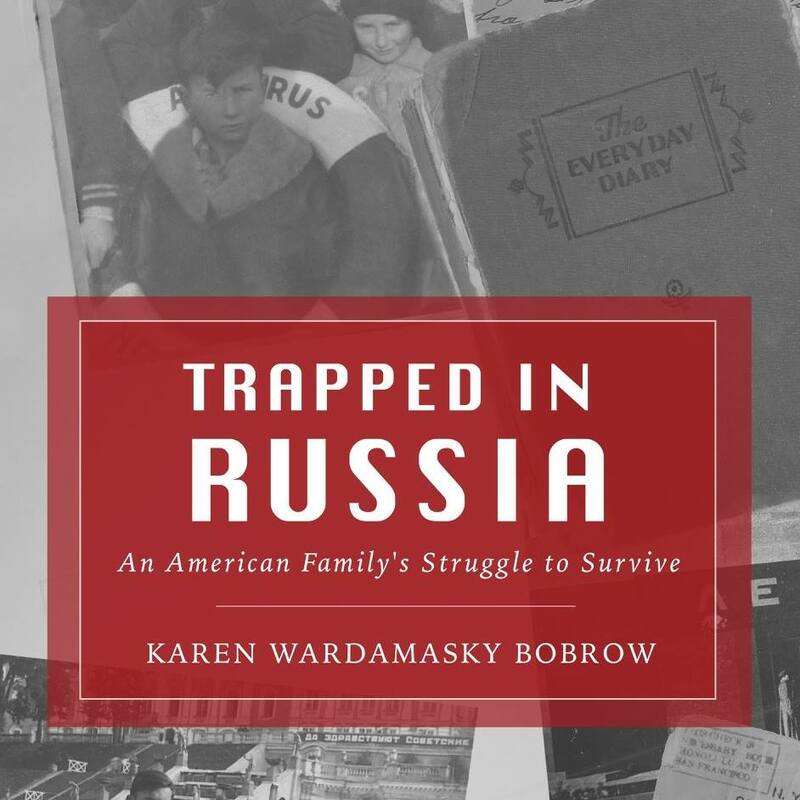 I am leaning to changing it to Trapped in Russia~An American Family. It has been suggested that I change the cover, so the photographer in our family is the logical choice to help me with that rather than hiring a stranger. I clearly have no idea how to market my book, but we have a professional marketing person in the family, so I am looking to her for assistance. Finally, we have a teacher in our family, so I am looking to her for assistance in checking for mistakes—my editor. The upside to all of you is that if your expertise results in spectacular sales, then Dad and I will have income from my book sales to help us through retirement, which leaves you all with our savings. Okay, kids, it’s time for another event at the Statehouse for mommy and a few friends. In case you haven’t heard, it’s Wear Orange Weekend in honor of Gun Violence Awareness Day. Orange is the color which was chosen to honor a fifteen-year-old girl, Hadiya Pendleton, who was shot and killed one week after performing at President Obama’s second inauguration. Events are happening in cities and towns across the country to raise awareness of people killed by guns–whether by suicide, murder, or by accident. Although I have decided to concentrate my activism on helping common sense gun laws to be enacted and to register voters, I had to think long and hard about attending this particular event. The problem for me was twofold: Saturday is now committed to t-ball, and as we all know, orange is the color of our arch rival—Clemson. After careful consideration, I knew I had to go. Strengthening gun laws is important since we will be having three people in our family in three different schools this year. I now dream of a world where I no longer worry about getting shot when I go to the movies, a concert, or a walk down the street. Will those days ever return, or is that a thing of the past like black and white televisions, rotary telephones, and silent movies? For those of us living in the South, we are aware that it is common to have friends who have guns in their home. I worry that no one is stupid enough to have their weapons unsecured, particularly when children are present. I have reasoned that I am not going to the t-ball game because I want to be involved in a cause to make our lives safer, so that has to be my priority this weekend. 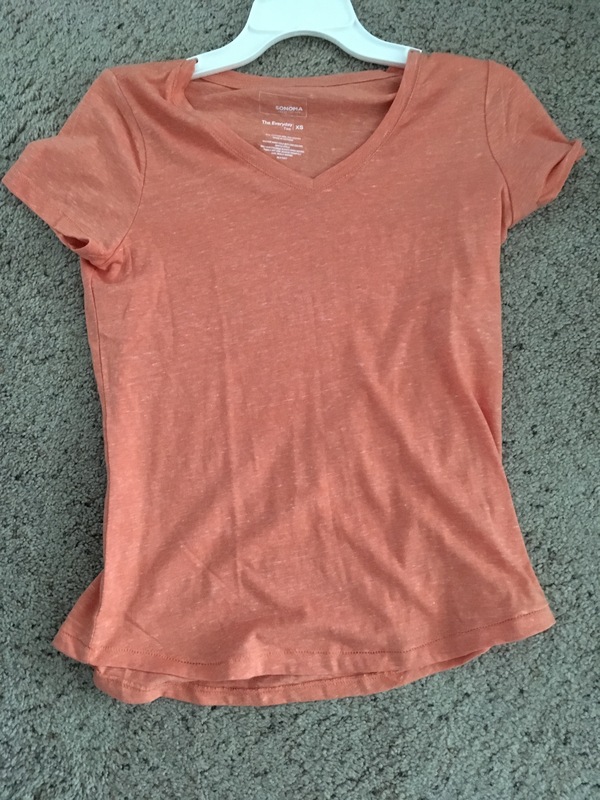 However, intentionally wearing orange was a tough decision, especially since I had to spend money to purchase a shirt in that evil color. So Dad and I went to a store that sold Clemson gear so that I could choose a shade of orange that could never, ever be confused with Clemson orange. This is one time I hope to be surrounded by a sea of orange.